We provide expert lower back pain treatment to the great people of New York City. When you visit your back doctor in NYC, you can count on an experience that will properly diagnose the root of your issue and map out a strategy to relieve your pain. Depending on the severity of your issue, there are things you can do outside of the doctor's office to avoid frequent flare-ups and unnecessary pain. Physical therapy is something that the majority of people with back pain should strongly consider. Working out is a great way to help alleviate pain. However, you should talk to experts at Manhattan Rehabilitation Services and explain your issue. These experts are trained to offer advice to people who struggle with back pain. One of the first things they will go over is that backaches require rest. Our doctors would recommend that every 15 minutes or so during a workout, you take a short rest. This will help you avoid the shooting pain that an intense workout routine can bring about. Performing the exercises the way they are intended to be performed is always crucial, but when a person is seeing a back doctor in NYC, it's paramount. If you're not sure how to use a machine, ask before you try. Also, the weights you lift should be more about toning than bulking. Heavy weights cause too must strain and that will be counteractive to the benefits you should be gaining at the gym. A lot of people will walk into a gym and immediately start working out – this is a very dangerous practice. Warming up your body with stretches before and after you work out is critical. About an hour after your workout, your pain level will often be determined by how well you warmed up or cooled down. Be sure to keep in mind that the shoes you wear must offer back support. Your posture is important and the wrong shoes make it extremely difficult to achieve balance. 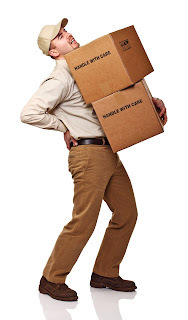 If your back pain is severe, there is nothing better than seeing our back doctor in NYC. However, by combining our back treatments with a healthier lifestyle, you will enjoy the best potential for pain relief. For people suffering from lower back pain or leg length discrepancies, the use of heel lifts can be very beneficial. The use of heel lifts can gently and gradually take the pain out of your daily life and make walking and standing that much more comfortable and pain-free.I find this website for Best Shoes for Back Pain you can visit this site.